Carrying on with the Summer Must Have Beauty series, preparation is key and getting your body summer ready is an absolute must… as you will see! Quenching your thirst is the easiest way to refreshing and hydrate your body, which in turn will make you feel and look great. Though what if water seems a little dull and you want to stay away from carbonated drinks due to the dreaded bloat? The BeautyIn drinks come in a range of flavours, including Acai, Grape and Hibiscus (14 calories) as well as Red Tea and Nectarine (13 calories) to name a few. Refreshing and bursting with flavour, especially when chilled, these are the perfect start to any summer morning. Containing no preservatives or artificial dyes or sodium, the drinks are filled with Vitamins and collagen protein. With funky designed packaging, these drinks make beauty preparation very easy! With the warmer weather, comes the necessity to wear less clothes, maybe not quite, possible less fabric than normal but still, it does mean flaunting the flesh. If you suffer with scars or stretch marks, they can make you more body conscious, I should certainly know, then I came across phytaoil which helps to improve the appearance of scars and stretch marks, as well as moisturising and toning photo aged skin. I have been using the easy to spray oil on my baby made stretch marks on my tummy and I do think that with some added sun worshipping, the marks have improved slightly! However, please be aware that Phytaoil is an oil that helps to improve your skin, if using this outside always make sure you use your sun protection as normal! It can seem like a good idea to walk out in those 4 inch heels, but give it a few hours and you can pretty much guarantee the start of a blister. 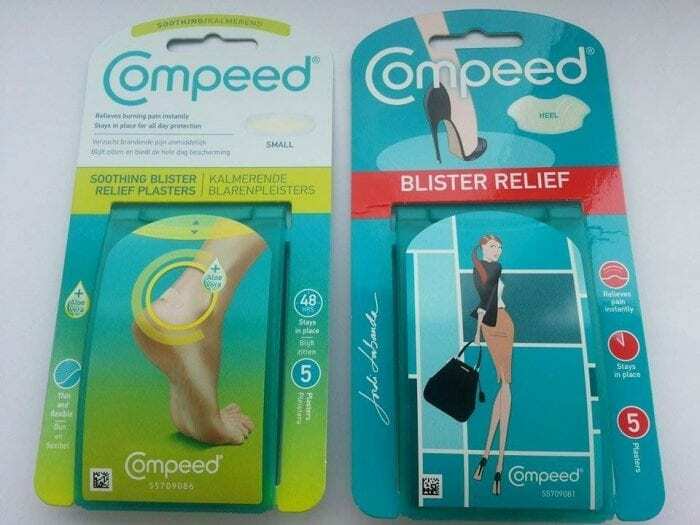 We all do it in the quest for awesomeness, my feet are no longer cultured to heels anymore and when I do, on a whim, decide to wear glamorous heels that make me 6ft tall, Compeed always accompany me. The fantastic soothing blister plasters come in very handy, portable containers so there is no reason to not carry some around with you, to ensure a pain free night out… well, totally dependent of course! Albeit I love the sun, I do notice when tanning that both arms have a certain small patch that turns into a red rash before it turns brown, almost at the short sleeve length spot. Whether this is a particularly sensitive area I do not know, but I had never realised that it may be my sun cream causing the red rash like area. Slathering on an undercoat before using sun cream had never occurred to me before, however the Kalme Undercoat is a de-sensitising base cream for very sensitive skin. 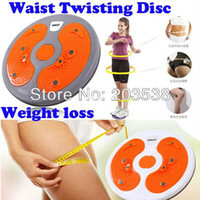 It can also be used before applying any skin products, if you too find yourself reacting to some products. So far, so good and by using this product, my arms have certainly appeared less rash like when using sun cream and sitting in the sun… here’s hoping this will continue! 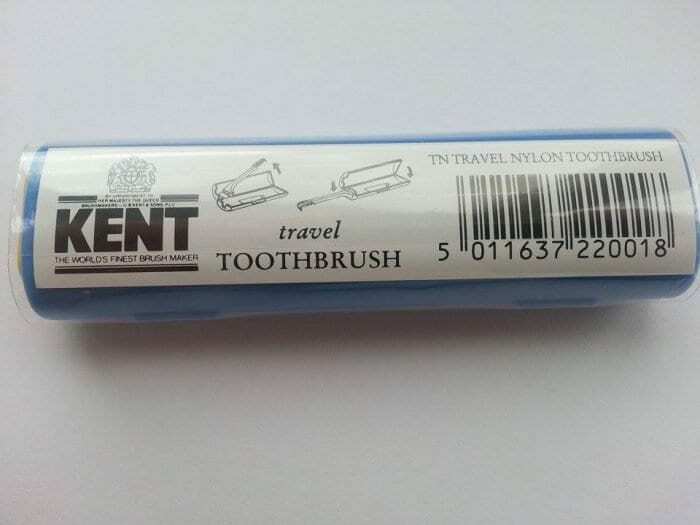 From previous posts, I have noted space is at a premium when travelling, so a handy compact toothbrush from Kent brushes is an awesome little gadget! As light as a feather, easy to pack around other things, as opposed to the other way round and the brush head will keep clean and fresh! Did The 30 Day Detox Work? Those plasters have been a godsend to me while breaking in some new shoes this week, would have been limping otherwise! Tell me about it! I have used them for as long as I remember – a must have when breaking in new shoes!! ooh good stuff and some new produtcs to me! Those drinks look fabulous! I am always on the look out for something a bit different to drink, rather than the usual fizzies so they look fab. We need to know where to get these things and how much they are!